I was inspired to do place value with kids' first initial of their name by Crayon Bits, Mrs. T, and Bishop's Blackboard. Print off paper bars of tens and have kids cut and paste them to form the first letter of their name. 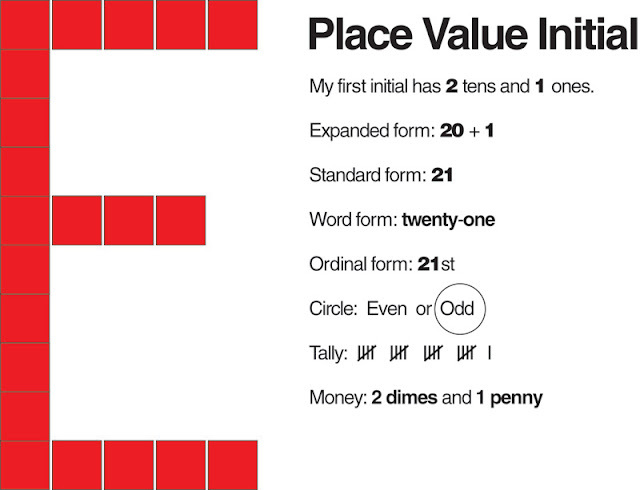 Next, have them count how many tens and ones there are in their initial. Then, have them write down their number's expanded, standard, word, and ordinal form. Is their number even or odd? Tally! Finally what would their number look like in money? Kids have a blast seeing their initial as a number! I'm so glad you found this lesson useful. Mrs. Linnabary, from Crayon Bits, and I are lucky to teach together and love to share new ideas! Super cute idea! 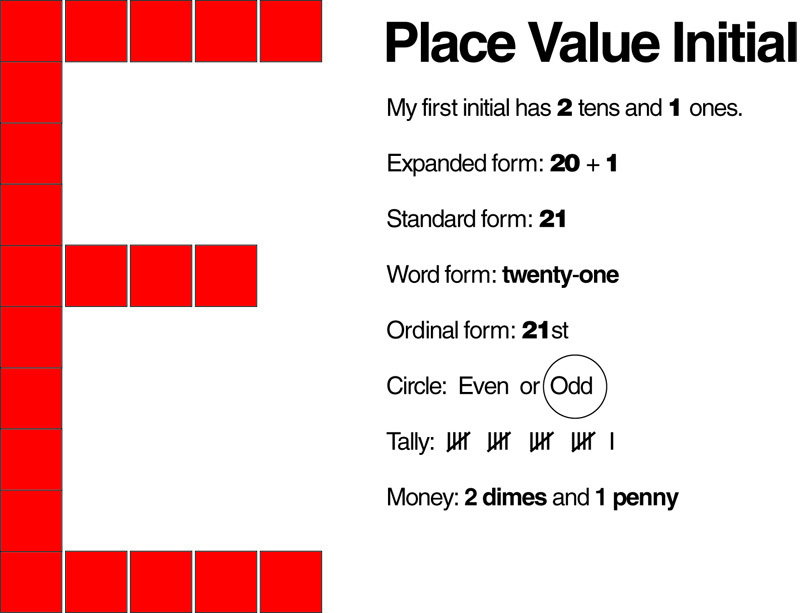 I've been on the lookout for out of the box place value ideas!